Prior to a process known as polymerase chain reaction, or PCR, studying DNA was a much more complicated process. With just a few drops of blood at a crime scene or dry brittle bones at an archaeological dig site, collecting a usable amount of DNA was nearly impossible. Then came a man named Kary Mullis who helped develop the innovative technique that is still used in laboratories worldwide today. Kary Mullis is not your “stereotypical” scientist. As a local of California, he did a lot of his scientific thinking while surfing. He also often openly criticizes the way that scientists must apply for grants in this country and the system that this creates. Alongside this, he openly chronicled how he would develop and test his own psychedelic drugs, such as LSD. We could tell tales of his life behind the science. Personal life aside, Kary Mullis will certainly go down in history for perfecting the polymerase chain reaction. PCR, while incredibly useful, is not a difficult procedure. To understand the process, we must go back to the basics of DNA. 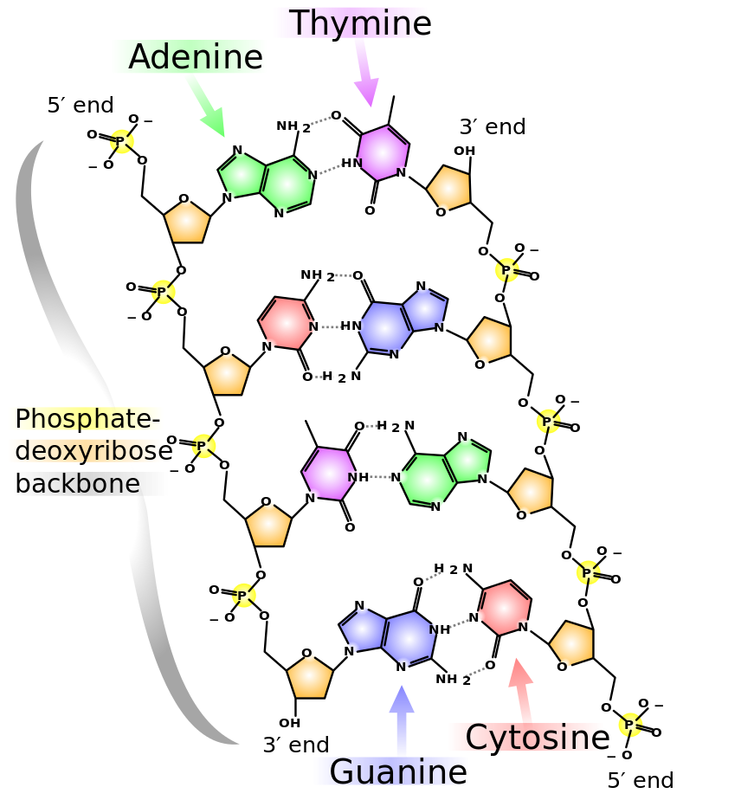 DNA is a double stranded molecule connected in the middle of the strands by bases known as adenine (A), thymine (T), cytosine(C), and guanine(G). 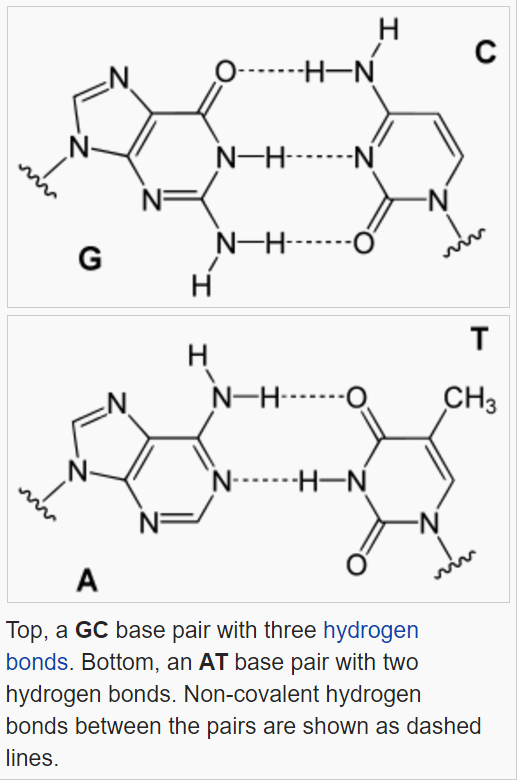 In DNA, adenine always pairs with thymine (A-T), whereas cytosine always pairs with guanine (C-G). Attached to each of these bases is a sugar (deoxyribose) phosphate backbone. The molecule is weakest between the bases. This is because DNA is only held together between the bases by hydrogen bonds. There are two hydrogen bonds between adenine and thymine and three between cytosine and guanine. While these bonds are weak individually, together they hold the molecule into a stable, double-stranded form. PCR works by manipulating temperature in a cyclic fashion. There are three steps to the procedure that occur over and over again. Prior to the first step, you must add the DNA that you are attempting to amplify (AKA multiply), enzymes (proteins) to make the process work, free bases (nucleotides – the A’s, T’s, C’s, and G’s discussed above), and primers. Primers are simply sequences of nucleotides that bind to a segment of your target sequence in the DNA that you want to be amplified. One primer binds to the beginning and the other primer binds to the end of your particular sequence (forward and reverse primers). Once the primers attach, the proteins can go to work and add the rest of the bases. The first step, denaturation, means that we simply raise the temperature to a point in which the DNA unwinds (since it is in a helix form) and all of the hydrogen bonds break between the bases in the DNA strands. This temperature must be hot enough to accomplish this, but not too hot as to denature the rest of the molecule. Generally, this is around 94 degrees Celsius. Step two, primer annealing, simply involves the scientist lowering the temperature to a point in which the primers can bind to the DNA (generally around 56 degrees Celsius.) Once this has occurred, step three of the process can begin after the temperature is raised once more to approximately 72 degrees Celsius. One of the major enzymes needed for this process to run is known as DNA polymerase. Simply put, DNA polymerase actually goes through the newly single stranded molecules and adds the bases to make them double stranded once again. This process begins where the forward primer is attached. One of the original problems with this process is that human DNA polymerase does not function at these high temperatures. The enzyme denatures, or breaks down. To remedy this situation, the polymerase of another organism is used. The Bacterium, Thermus aquaticus (Taq), lives and thrives in hot temperatures. Therefore, its DNA polymerase functions in these heated environments. This is why it can be used for this process. To reiterate, Taq Polymerase it does not denature in the heat the way that human polymerases do. Once this process is complete, your DNA molecules should have duplicated. You then repeat this process approximately forty times. This causes an exponential increase. One molecule becomes two, two becomes four, four becomes eight, eight becomes sixteen, and so on and so forth until you are dealing with a usable amount of DNA. With the correct ingredients and a cyclic change in temperature, we can prompt one of the most important molecules in the world to duplicate. Naturally, we do not change the temperatures manually. We have thermal cyclers to do this for us. Simply put the concoction together and add it to a PCR machine, apply the correct settings, close the lid and wait. We must thank the scientists who came before us for helping make our research a bit easier. Until next time, carry on with curiosity!